For more than 150 years, Hagley Park has been home of cricket in Christchurch. In that park, during the 1860's, pioneers prepared a cricket oval. 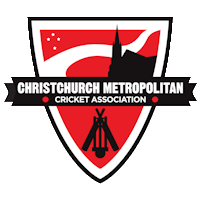 Believed to be the oldest cricket pavilion in the world, and certainly the oldest sports building in New Zealand it has offered shelter to generation of Canterbury's cricketers ever since. 1956 St Albans CC leave and Christchurch City Council condems the building. 1972 purchased by Marist cricket club. Front balcony renovated. 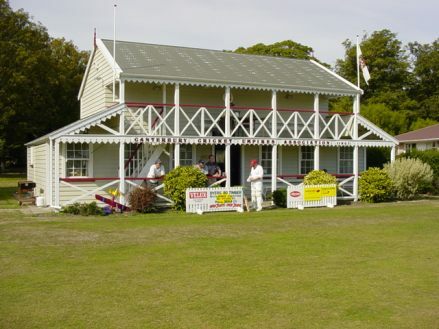 In 1988, the members of the Canterbury Cricket Umpires Association purchased the derelict pavilion and led by Brian Aldridge, and with financial help, members restored it to its former glory. Re-opened in 1990, the pavilion now stands as a memorial to the pioneers of Canterbury cricket, and among its unsung heroes-the umpires.